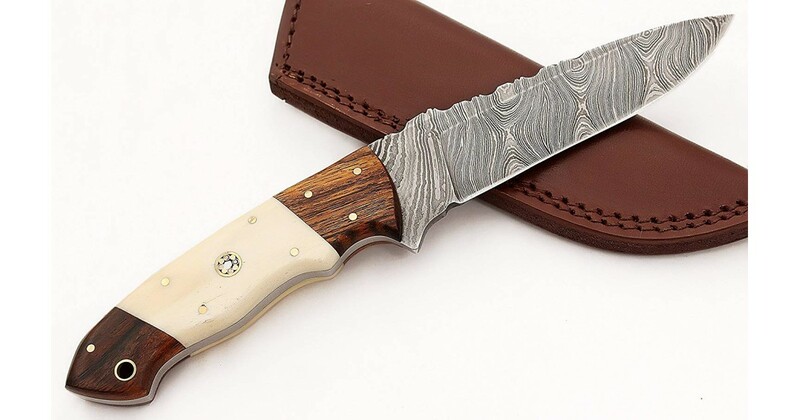 This Is a Handmade Full Tang Knife Made With Damascus Steel and Natural Bone Handle. Every Handmade Knife Has Some Variation In Its Color or Pattern But Have The Same Attention To Quality as The One Pictured. Precautions: Oil and Wax after Use and Don't Leave It In Water to prevent From Rust. You Must Be 18+ Years Of Age to Buy This Knife. ·Damascus knife handmade with Excellent piece of work measures overall 8" ·Sheath Included in t..